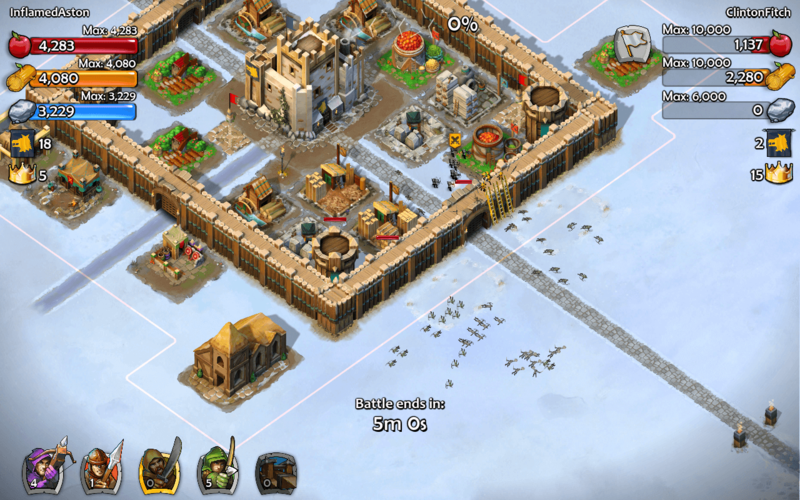 Microsoft Studios has released another major update to the popular game Age of Empires Castle Siege for Windows and Windows Phone. The update, version 1.0.4.371 for those keeping score at home, brings a huge number of game improvements, bug fixes and expanded content for those who have made it to Age 8 in the game. I reviewed Age of Empires Castle Siege when it was first released and the game has had several big updates since that review. While the fundamentals of the game haven’t changed – advance your civilization and protect it against attacking hordes – the game has certainly improved in overall stability and features. Alliance members can send custom text messages that will appear in the Alliance Messages window. The Alliance Messages window will now show when players are promoted, demoted, kicked, or joined. Measures have been implemented to make players attackable even if they are online if the system detects that they’ve spent a significant amount of time logged in. Towers will now attack units even if only part of the squad is in range of the tower (the “flame tower” bug). Cavalry will get in at least one hit when they catch up to a unit they are chasing. Joan of Arc will now convert all members of a squad instead of just the units in range. Traps can now be placed under decorations. Belisarius no longer fires arrows when using Undermine. A warning will occur on phone if pressing the back button would exit the game. Fix for notification settings sometimes not being saved. Fix for siege towers sometimes not showing a death animation. Fix for building getting stuck if UI buttons are pressed while a building is being moved. Fix for troops on walls appearing in front of instead of behind adjacent towers. Fix for some unit colors not changing when units die or get converted. Fixes for missing ambient audio sounds. Miscellaneous graphical and UI polish. Age of Empire Castle Siege does require that you have an Xbox account which is also free. There are in-app purchases to further your empire along a bit quicker but are not necessarily required if you are patient in game play.